The school was established in 1948 and it is managed by the Department of Education. It is located in urban area . It is situated at a distance of about 5 km. from the Block Resource center. It is located in MADURAI WEST block of MADURAI district of TAMIL NADU. The school consists of Grades from 6 to 10. The school is co-educational and it does not have an attached pre-primary section. The school is non-residential in nature and is not using school building as a shift-school. During the previous academic year, the school functioned for 220 days. It had 3 academic inspections and was 11 times visited by the CRC Coordinator during the previous academic year. It was 3 times visited by the BRC Coordinator. Tamil is the medium of instructions in this school. This school is approachable by all weather road. In this school academic session starts in June. The school has no building block. It has got 3 classrooms for instructional purposes. A total of 1 classroom is in good condition. On the other hand, 2 of the classrooms need major repairs. It has 2 other rooms for non-teaching activities. The school have a separate room for Head master/Teacher. The school has got no boundary wall. The school has electricity connection. The source of Drinking Water in the school is tap water and it is functional. The school has 2 boys toilet and all are functional and 2 girls toilet and all are functional. The school does not have playground. The school has a library and has 397 books in its library. The school arranged medical check-up for its students during the previous academic year. The school needed ramp for disabled children to access classrooms and it is available, handrails for ramp is also available.The school has 8 computers for teaching and learning purposes. The school is having a computer aided learning lab. The school has received the one time kitchen devices grant. The school is providing mid-day meal which is prepared in the school premises and 75.63 per cent students opted for mid-day meal. 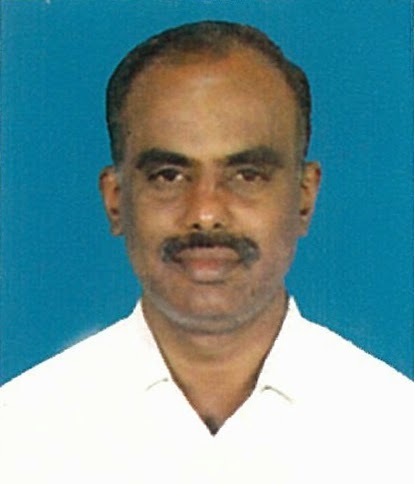 Mr. S.CHRISTOPHER is the Head Master/Teacher of school and his academic qualification is M.A.M.Ed. The school has 1 regular teachers in position against a sanctioned strength of 2 posts. The school has 9 female teachers. It has no Contract Teacher. The school does have 2 non-teaching staff. Precisely, 10 teachers of school are having graduate and above degrees. On the other hand, 9 teachers have professional certification(s)/degree(s). The Pupil-Teacher Ratio (PTR) of the school is 10:1 and the Student-Classroom Ratio (SCR), 40:1. On an average, about 40 students sit in one classroom which sounds comfortable. During the previous academic year, no teacher was engaged for even a single day in non-teaching assignments. Under the Sarva Shiksha Abhiyan Programme, the school received School Development and TLM Grants. It has utilized 100 per cent School Development and TLM Grants. The school did not collect any funds from students during the previous academic year. The total enrollment of school is 185, out of which boys' enrolment is 60 (50.4 per cent) and girls' enrolment, 59 (49.6 per cent). The SC enrolment is 0, ST enrolment, zero and OBC enrolment, 57 (47.9 per cent). No student repeated upper primary grades during the previous academic year. Incentives were not provided to students in the previous academic session. The school is approachable by all weather road. School Management Committee (SMC) has been constituted in this school. The school has implemented continuous & comprehensive evaluation (CCE). The school is maintaining children's record as per RTE. The school has got computer in the school. The school has computer aided learning lab. Teachers of school are well qualified as they have graduate & above degrees. The teachers are professionally qualified. The school has a regular Head Master/Teacher. The school was inspected during the previous academic year. The school was visited by the CRC Coordinator during the previous academic year. There are female teachers in the school. The school has got girls' toilet. The school has a comfortable Pupil-Teacher Ratio (PTR). The school is providing Mid-day meal. The school needed ramp for disabled children to access classrooms and it is available. Handrails for ramp is also available.